Brandon Belt with what you need to know. And that’s what’s happening! I was home sick today with a stomach virus. It came on all of a sudden last night and I’ve been sleeping on and off most of the day. Not fun. But I thought I’d get a post out while I can. On Monday a lot of reporters asked me about Barry Bonds because I guess he mentioned me by name at his press conference. I haven’t talked to him yet. I just introduced myself at the batting cage. I’m shy by nature so I’m not going to go up to him and start asking questions right away. 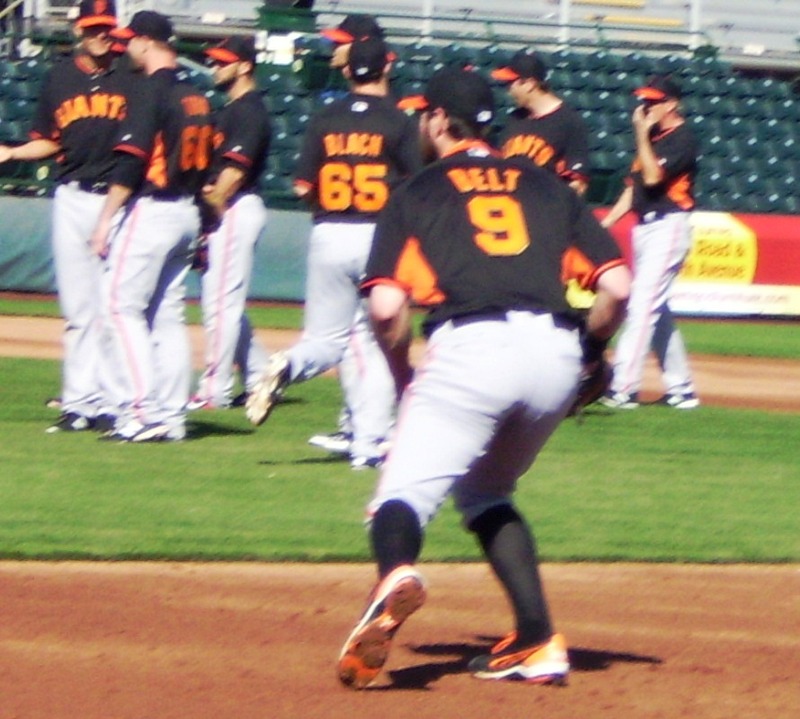 I listened to him talk to other guys during BP and picked up a few things. Nothing too specific.